In recent years, "Financial Modelling" in the sense of developing an integrated business plan has evolved into a thriving field for specialised consultants. This article portraits the main players. Continue reading "The Financial Modelling Industry"
Some financial models need to reference stock quotes at certain dates. Instead of using those as hard-coded input data, you can create an Excel formula that will retrieve stock prices for a given date. Continue reading "Excel: Retrieve Stock Quotes with a Spreadsheet Formula"
Sometimes, you will need to work with geographical coordinates in Excel and/or PowerPoint. This article shows you how to use Excel to work with coordinates and calculate the distances between locations for advanced mapping problems - it is pretty easy with only a handful of formulas. 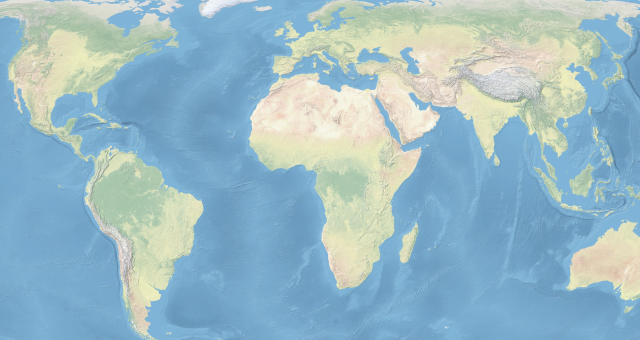 Continue reading "Using Maps and Geographical Coordinates in Excel"
Successfully building a financial model can be a complex process. This article shows you the main steps you should follow. Continue reading "Creating a Financial Model Step by Step"
It is essential to define number formats in Excel in order to improve the usability of your model and the readability of its reports. This article explains how to do that. Continue reading "Custom Number Formats in Excel"
For more complex financial models, macro can become an integral part of the calculations. Letting them operate can slow down the work - in extreme cases up to hours. This article explains ways to speed up your macros. Continue reading "Speed Up Your VBA Macro"
Asset utilisation plans are a simple way of presenting clearly the use of assets over a projected period. They are particularly important in industries with high variability or flexibility when it comes to renting and using assets. Continue reading "Modelling Asset Utilisation Plans"
One practice established among Excel power-users is to use "1" and "0" within data tables to indicate a "yes" or "no" or similar two-way attributes. The usage of such "binary" flags will be explained in this article. Continue reading "Working with Flags"
Financial models are complex constructs with sometimes gigantic sheets. 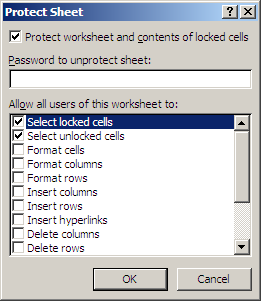 Using cell formatting within Excel helps you to keep an overview. Continue reading "Using Colours and Formats"
Use index sheets for each category: In this article, the importance of a table of contents and a "cockpit" is explained. If your model exceeds 50 sheets, just one index sheet with hyperlinks is not enough. 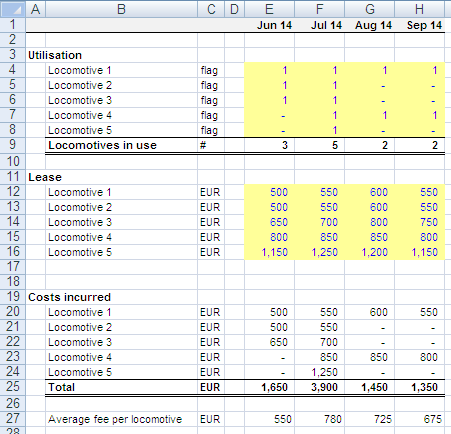 Additionally, you should add index sheets for each category/section, always to the left of the respective sheets. That will greatly increase usability. Some practitioners tend to hide sheets - for example, if they feel they are too technical and do not want the users of the model to be confused or to mess with any settings. You should never do that! If someone else is trying to follow calculations - be it your user, or perhaps a colleague assisting you - hidden sheets will only lead to confusion. Or you may forget to remove sheets that were formerly important but were rendered useless by some model changes. 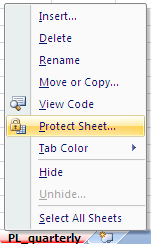 Right-click on a sheet tab and choose "Protect sheet..."
In the new dialogue, choose a password for protecting the sheet, and choose what users should and should not be able to do within the sheet.